Although this is "Bob Dylan Week" on the blog, I'm going to interupt it for one day to bring you this interview with author Richard Currey. Currey will be reading from his classic war novel Fatal Light at The Writer's Center on Sunday, April 5 at 2:00 P.M. The reading will mark the launch of the book's 20th Anniversary edition, to be published by The Santa Fe Writers Project. Richard Currey is the author of Crossing Over, Fatal Light, Wars of Heaven, and Lost Highway. But it was Fatal Light that would establish his international reputation, with widespread critical acclaim and 20 different editions published in 11 languages. The book was nominated for the PEN/Hemingway Award, and brought its author the Vietnam Veterans of America's Excellence in the Arts Award and a Special Citation from the Ernest Hemingway Foundation. Kyle Semmel: Tim O’Brien called Fatal Light “one of the very best works of fiction to emerge from the Vietnam War.” It will soon be released in a 20th Anniversary Edition “author's cut” from the Santa Fe Writers Project. Despite the fact that the book was a bestseller, the original publisher let it go out of print. Can you tell us what it was like to see your book suffer that fate? And what does it mean for you to see Fatal Light back in print? Richard Currey: It’s wonderful, of course, to see Fatal Light back in print after a hiatus of nearly eight years. It’s a beautiful new edition, fully re-designed, well-published and marketed with integrity, and the re-issue gave me the opportunity to make some long-overdue changes in the text. As to Fatal Light going out of print, this is simply something that occurs in the writing business. It’s disappointing when it happens, but it’s also a fact of life for writers. The original edition was a commercial success both here and abroad, but sales inevitably waned over many years. The major trade houses, in my experience, will not keep books in print much longer than five years or so unless they’re continuing to sell at a significant level. This is very often not the case for literary novels. It’s just the way it is. KS: Can you tell us what writing Fatal Light—and its predecessor, Crossing Over—meant to your development as a writer? Or as a veteran returning from a life-altering experience such as war? RC: Those two books are very clear illustrations of my road forward as a writer. I started my writing life as a poet. Poetry taught me how to write, and still influences my work in terms of brevity and concision. These aspects of my work are evident in, really, all my work, but very much so in my first two books. Crossing Over is where I began to find my own voice—style, rhythm, approach. Fatal Light was the move forward into a larger world of story-based, character-driven fiction. As far as being a veteran, though, and the notion that writing served as some sort of cartharsis—no. Some vets use writing for cathartic or healing purposes, which is most admirable. Indeed, I envy them. That just hasn’t been my path. In any event, I was a writer before I served in the military, and would have been a writer no matter what happened in my life along the way. KS: You were an instructor during Operation Homecoming's first phase of workshops. And you've taught a veterans' workshop here for The Writer's Center. How important is it for veterans to tell their stories? RC: Linking to your earlier question, I’m a believer in the therapeutic possibilities of writing for anybody who has suffered traumatic experiences. I think we know, whatever the nature of the personal trauma, that difficult experiences foster some of our most powerful literature. But I’m more careful about using over-heated words like “healing,” particularly with combat veterans. It’s just not that simple. In my Operation Homecoming workshops I focused on the potential of self-expression as a method for coming to terms with difficult experiences, as an attempt to garner some level of understanding of institutionalized violence of great magnitude, and the cultural, political, and spiritual importance of being a witness. There’s always the truth that lies hidden within the official story—and we need artists to get us to that place. This is what I tried to impart to my Operation Homecoming writers. And it’s why we need veterans to share their stories, in whatever form they can. KS: What would you say to veterans returning from Iraq or Afghanistan today? RC: Thank you. Don’t hesitate, not for a moment, to seek help if you need it. Never let anyone convince you that your service was, or that you are, in any way insignificant. And good luck. KS: The connections linking veterans to other veterans—regardless of years of service—are fairly obvious. But how can we bring non-veterans closer to veterans? RC: The books of veterans can do this, or certainly try to. It’s the great pleasure of books and reading—to see into other lives, taste other experiences, find new insights. But there’s another angle, too. Iraq/Afghanistan is this generation’s Vietnam and will echo in the same way, working into millions of lives, rippling out into the larger social fabric for many years to come. Michael Herr made this general point well, in the final lines of his brilliant book Dispatches: “Vietnam, Vietnam, we’ve all been there.” So it was with the Civil War, and with World War II. And so it shall be with Iraq and Afghanistan. It’s the testimony of the veterans of these most recent wars, be it in the form of poems or memoirs or novels or stories or plays or movies, that will be the bridge to all the non-veterans out there. KS: Does it bother you that war, the experience of it, is often hijacked by people who want to sell a movie or a particular agenda? RC: No. I wrote that “war stories are our oldest stories” in Crossing Over, and used the phrase again in Fatal Light. The narrative elements of a war story are so potent, so clearly-drawn, so mythic, that I’m sure any number of storytellers in any number of media will be using the basic outline for as long as humans are around. As far as promoting a personal agenda or message, one of the ironies of war stories is that most of them end up being anti-war statements even if they were intended to support the opposite argument. It’s difficult to depict war with anything even faintly resembling accuracy and not remind us of how horrible it is. KS: In addition to Fatal Light, you've written a magical collection of stories set in the mountain south in the early years of the last century, The Wars of Heaven, and a moving depiction of a country musician in Lost Highway. You've also written very powerful poetry in Crossing Over. You wrote screenplays for Steven Spielberg for a couple years. And you write journalism from time to time. As a writer, in other words, you utilize a very large canvas in your art. Which direction would you like to concentrate on in your future work? RC: All of the above. Although it’s true that I’ve been particularly interested in personal nonfiction and journalism over the last several years. I’ve enjoyed doing several pieces in the last five years that merge investigative reporting and personal perspectives. I have a nonfiction book about the American West that’s essentially finished. Along the way I’ve continued to write occasional short stories and poetry. I have 30 pages of a new novel that’s historical fiction. Maybe all of this, though, is more a fault than an asset. I know that I’ve annoyed my agent by striking off into various different literary territories. But I continue to enjoy what I do, and am burdened by a wide curiosity, so I presume my work will keep on refusing to sit in one spot. KS: Early in your career you won an O. Henry Prize for the short story "The Wars of Heaven." A famous editor once wrote you a very dismissive rejection letter when you submitted it to his journal. But instead of fretting over what he wrote, you submitted immediately elsewhere. Can you tell us how it felt to get that letter, and what it meant to you to win such acclaim for that story? RC: This is an instructive episode, certainly for any writer in despair over rejection. The editor in question, who we will of course leave unnamed, was well-known and powerful (in literary circles, anyway). He invited a submission from me for the trendy lit journal he then edited. I sent a story. He sent it back with a little note attached saying that “alas, this is a failed story” and suggested I abandon the piece. (Wish I’d saved that note, but I have a personal rule that all rejections should be immediately trashed.) I recall being more bemused than angry—the editor’s arrogance was so pronounced there was something a bit comic about it. Still, I thought, maybe he’s right. But let’s see what others think. So, on the same day I received the rejection I sent the story to a new, fledgling literary magazine out of Denver. The story was accepted immediately by a very enthusiastic editor, and went on to win an O. Henry and appear in the annual collection, and has also since appeared in numerous short story anthologies. It was translated into French and appeared in La Nouvelle Revue Francaise—the first work by an American to appear there in translation since Kerouac in the ‘60s. We even sold a movie option on the story. Clearly that first editor’s opinion was not shared by quite a few others. Lesson: Keep the faith. The audience is wide and not necessarily listening to what a single, well-positioned Manhattan editor is telling them to read. If you’ve put in the effort and believe that what you’ve done has a shot at speaking to readers, odds are it will. I hate to sound like your grandmother, though I’m old enough, and I won’t tell you that we walked ten miles to school through snow drifts, because we didn’t. But I did grow up in the ‘60s before PC’s, cell phones, blow-dryers, pantyhose, The Pill and other things we now take for granted. People believed the Cleavers were realistic role models; “drugs” meant aspirin; grass was mowed; and every bride was assumed to be a virgin unless she was about to go into labor, right there at the altar. As pop art always reflects the culture, all songs on the radio were approximately three minutes long and as neat and contained as the Eisenhower administration. Their main concerns were puppy love, teen angels and directions to where the boys were, a strategic bit of info for those of us attending all-girl schools. Although the first crossover black artists were inspiring white kids to discover that their rears were moveable pieces of anatomy, Leslie Gore’s “it’s my party and I’ll cry if I want to” was the closest thing we had to women’s lib. Typical lyrics: Do-wah-diddy-diddy; rama-lama-ding-dong; shimmy-shimmy-coco-pop. Maybe they were Zen koans, but I doubt it. Don’t get me wrong – he was an acquired taste, and you had to get over the shock. Normal males had crew cuts; they wore skinny, proper suits with skinny, proper ties; they opened doors for females and walked on the street-side so they could stop out-of-control Mack trucks from running over their dates. Bob Dylan was another kind of animal, one you didn’t take home to Mother, not unless you wanted to be grounded for the next month or maybe the rest of your life. Dylan didn’t sing like anyone else, either, not in that era of love songs as safe and approved of as hymns sung by a local choir. He growled. He yowled. He slid off the notes, not with the exquisite finesse of Billie Holiday skating down their edges, but more like a Chevy fish-tailing in mud. He mumbled on and on – and on – with no respect for diction or the three-minute time limit, and we first got into his music through tidier covers by less alarming artists. But if that was the safe entrance, it was still the opening into a wider mind who slung language like Salvador Dali melted clocks and who wasn’t afraid of jumping the paddock fence. We started thinking about peace and war instead of our next date. We became aware of being caught up in the times that definitely were a-changin’. We learned to recognize when we had the Memphis blues, even if we’d never been to Mobile or Tennessee. He became the sound track for our lives. We swung our hips like Rainy Day Women and found this a great improvement over the Good Girl Walk. We fell in love to “Lay, Lady, Lay” and yeah, got laid to it. We sent lovers away from our windows and told them not to think twice about our geranium smiles. We divorced to “I Shall Be Released” and resolved not to work on Maggie’s farm no more. We protested the war and marched for civil rights because, damn, we wanted all those white doves to sleep in the sand and everyone to get down those roads and be a man – even the women. It wasn’t just the songs; it was how Dylan wandered around in them, kept taking them apart and putting them back together in different ways. Not the usual rote where all patterns repeated in proscribed, expected ways. More the Confucian wisdom of “There are many ways over the mountain.” Variations on a theme that let us explore the many ways a thought or feeling could work and how we could move around inside them. He punched open our Skinner baby-boxes so we could look out into larger, richer, wilder space. Even if we didn’t escape right away, we at least got familiar with the territory and knew it was out there when we were ready. So we still make pilgrimages to his concerts, though the audience is a regular AARP convention and most of them can’t find their cars in the parking lot after. Dylan’s still stiff and weird, and God knows what key he’s singing in. I understand how you wouldn’t “get” him now. But a lot of us did, at just exactly the right times of our lives. Barbara Esstman, MFA, is a National Endowment for the Arts, VCCA and Virginia Commission for the Arts fellow and a Redbook fiction award winner, among other distinctions. Her two novels, The Other Anna and Night Ride Home, were published by Harcourt Brace and HarperCollins and are in numerous foreign editions. Both books were adapted for television by Hallmark Productions. She co-edited an anthology, A More Perfect Union, published by St. Martin's Press, and has taught extensively in universities. The next workshop she will teach at The Writer's Center is Advanced Novel & Memoir, beginning April 8. Click here for details on this workshop and her Query Letter workshop upcoming also in April. As followers of this blog know, Abdul Ali and I are doing a culture swap, sharing books and music with each other that we enjoy. The object of this swap is to see beyond our biggest influences and learn about what influenced each other. Last week Abdul wrote about my literary hero--yes, literary hero--Bob Dylan. The response to that post has led me to decide to do a FULL WEEK of Bob Dylan next week, because there's something larger at work here, as evidenced by Barbara Esstman's wonderful response letter to Abdul (which you can read here on this blog on Monday). 1) Anyone who tried to do just about anything with our Web site in the last couple days may have noticed that something's not working. Well, it's true: something is not working. As part of our efforts to improve our service by improving our Web site, we're shifting to a new webmaster/server. So the site is under renovation. We apologize profusely for any problems this causes. Trust me, it hurts us too. Now on to Toni Morrison. First let me say this: This culture swap was not the first time I'd come across Morrison's work. I've read two of her books, Jazz and Paradise. What I told Abdul originally was that I found her work to be, at least in those books, a bit of a slog for me. "It's not my kind of thing," I believe I said. A friend of mine, David Todd, recently said of her writing: "She's always right up here in her stories, hovering"--and here he lifted his hand above his head--"and doesn't ever bring it down." He kept waiting, he said, for her to get to the story. But it's as if she's in the air above, circling around. That seems an apt assessment. In Jazz and Paradise--well written books with much to admire in them, to be sure--I was continually waiting to enter the story and never want to leave it. That didn't happen. What DID happen was that I was continually thinking of other things to do with my time--and that's not the way a writer should hook a reader. Indeed, it didn't hook this one at all. So truthfully: not my kind thing. "Recitatif" does this too. For those of you who don't know the story, it's daring for what it does: tell a sweeping narrative that unfolds over about 40 years. John Updike has managed short stories where dozens of years pass in them, but it's a hard thing to pull off. Reading this story you know why. Two girls, one black (Twyla), one white (Roberta) meet at a boarding school--more like a school for wayward girls--when they're about 8 years old. They become friends regardless of race. Then their mothers come and find out about it (actually, Roberta's) and that pretty much ends the friendship. Flash forward many years and Twyla's working at a diner on the highway. Who should she run into but a mean, hippyish Roberta (this is now 1969) with two of her friends. Roberta blows her off rudely. Flash forward again and they're older women, a little wary of each other but nevertheless connected by their shared history. What makes this story successful is the thrust of its forward momentum. Its pacing. At no time do we stop, look around, and wander off after something shiny. No,we're moving forward all the way. What makes the passage of time work here is that Morrison focuses the story entirely on these two women, their story. Because of that, she's able to do what she does well: explore race relations in the U.S.
Now I return to what I find is a problem. You tell me: Should a writer make a central element in a story of a event that may or may not have happened? That could be all in the mind? To me, that sounds too much like a literary trick. (And another one of my quirks: I don't care for literary tricks.) Judging by the conclusion of this story, that's what Morrison does. And I'm not entirely sure it works for me. But what do you think? I'd LOVE to open a dialogue about this story with others. Who has read it? Who wants to read it? Do you agree with me? Disagree? The version of it I read was in Al Young's African American Literature, published by HarperCollins. Writer's Center Happy Hour, March 26! That's right! Come on out and enjoy a drink (or pop, depending) at The Writer's Center's first ever happy hour. It's on Thursday, March 26 beginning at 6p.m at Gaffney's Restaurant in downtown Bethesda. This has been mentioned over at The Writer's Center's Facebook page--so if you've not become a member of the group there, why not join today? That's right, why not. So here's some news. Abdul Ali, my colleague at The Writer's Center, is now hosting WPFW's "Poets' Corner". It's broadcast on Mondays at 7p.m. (He's replacing the great Reuben Jackson.) Next week's guest is none other than Elizabeth Alexander. Pretty cool, eh? Other news: Tammy Greenwood, WC instructor and author of the novel Two Rivers, was recently interviewed at podbean.com. Here's a link to that podcast. Lots of excellent stuff going on. Art Taylor interviewed WC instructor David Taylor--no relation!--author of the recent Soul of a People: The WPA Writers' Project Discovers Depression America, over at Art & Literature. If you don't know Art's blog, you should! Now on to the second contest announcement of the week. I'll continue to announce these unless I get inundated with too many. Later this week, look for a related post on our new lit journal discount program (which I'm totally psyched about). American Short(er) Fiction PrizeOur new contest highlights great work in shorter fiction--stories of 1,000 words or less, to be exact. First prize *receives $500 and publication. Second prize* receives $250 and publication. 2. The entry fee is $15, payable through our publisher’s online store. Please pay the entry fee before submitting your work through the Submission Manager. When you have paid the entry fee, you will be given access to the Submission Manager to submit your work. This week promises to be busy. There will be two contest announcements on this blog this week, starting today with Split this Rock. Got poems? Today's the last day to postmark your submissions for their poetry contest. See below for details. Later in the week I'll write about Toni Morrison--which is part of my side of the culture swap adventure Abdul and I have begun. Subtropics, Poet Lore, Potomac Review, New England Review, New Letters, Hayden's Ferry Review, and Fence. Email me if you'd like more details. Now on to Split this Rock. Only a few more days left to submit to Split This Rock's second annual poetry contest, to be judged by poet and National Book Award finalist Patricia Smith. First place $500; 2nd and 3rd place, $250 each. Winning poems will be published on www.SplitThisRock.org, and the 1st-place winner will be invited to read winning poem at Split This Rock Poetry Festival, 2010. $25 entrance fee. Proceeds support our next festival (March 10-13, 2010). So, my officemate Kyle and I decided to do a culture swap. He’ll suggest a musician I ordinarily wouldn’t listen to, and I’ll do the same. This has become a fascinating experiment because so often we—artists, regular people—don’t work outside our comfort zones. I was born at what some would consider the cultural peak of Hip Hop, the 1980s. And so my awareness about what I think to be culturally my own or even accessible has been negotiated and re-negotiated with this assignment. Can a someone who loves Nina Simone and Stevie Wonder and Prince appreciate a Bob Dylan? Why, of course. Kyle often references Bob Dylan as a poet. And this naturally made me curious since I consider myself a poet. Armed with three very different Bob Dylan albums, I’m still undecided about whether I dig this musician, this man, who seems larger than life just listening to my officemate's frequent references. Once you get past his scratchy, off-putting voice, a poet does appear. The pauses and cadences in the lyrics all remind me of some of my favorite beatnik poets of the 1950s. There’s a sweet melancholy in Dylan. A tortured artist. A rare breed of musician. Only there’s something distant about this sound. I’m fascinated by this “different” sound and want to learn more about the life and times of Dylan. The Children's Book Guild of Washington, D.C. is honoring Susan Campbell Bartoletti as the 2009 winner of The Children's Book Guild/The Washington Post 2009 Nonfiction Award in an April 4th program to be held at the National Geographic Society at 1145 17th Street, N.W. The 2-4:30 pm program will include a talk by Bartoletti as well as a performance by the Culkin School of Traditional Irish Dance with a reception and refreshments to follow. Tickets are $35 and can be purchased online at www.childrensbookguild.org, or by sending a check to The Children's Book Guild of Washington, D.C., 216 Walnut Street, NW, Washington, D.C. 20012. Student tickets are only $15. Art Taylor over at Art & Literature posted a great link today. Ron Charles at Washington Post Book World in New York City accepting a National Book Critics Circle Award (the Nona Balakian Citation for Excellence in Reviewing). The link is the video of Charles giving his acceptance speech, what Art calls "passionate, provocative, and persuasive." For more information on this event--Writer's Center members get in for a discount, btw, at $8--visit JCCGW's Web site here. Five visiting Welsh Writers will be in town on Friday, March 20, joining local poets and workshop leaders Rose Solari and Adele Steiner. Totally cool is this mention of The Writer's Center (this event) on the BBC. Check it out here. Bios! See www.academi.org for more information on this Welsh exchange program. Tom Anderson was led into a writing career through journeys taken as a surfer. He studied at the University of Glamorgan, South Wales and was the recipient of an Academi writer’s bursary for 2007 for his next book, a travelogue set in the USA. Tom’s main area of interest is travel, and he has had articles published in several publications. His book Riding the Magic Carpet: A Surfer’s Odyssey to Find the Perfect Wave (Summersdale Publishers Ltd) was published in 2006. Catrin Dafydd is an author, dramatist, poet, political campaigner, performer and musician. Catrin graduated in Welsh from the University of Wales, Aberystwyth. She won the 2005 Literature Medal at the Urdd Eisteddfod, Cardiff and has won 2nd and 3rd places in the Crown, Chair and Drama Prize competitions 11 times in five years. Catrin won an Academi bursary in 2004 to work on her first novel, entitled Pili Pala (Gomer, 2006). Her first novel in English, entitled Random Deaths and Custard (Gomer, 2007), was nominated for the ‘Books to be talked about 2009’ award by the World Book Day team. Novelist and singer-songwriter Fflur Dafydd is a graduate of University of East Anglia’s Creative Writing MA course. She was selected in 2005 for the high-profile Scritture Giovani project for emerging European writers, and has undertaken residencies in Helsinki, Finland and on Bardsey Island, Wales. Fflur has a PhD on the poetry of R.S. Thomas and currently lectures in Creative Writing at Swansea University, south Wales. Fflur was awarded the Prose Medal at the National Eisteddfod in 2006. She is the author of two Welsh language novels and one English novel, Twenty Thousand Saints (Alcemi, 2008). Poet and academic Eurig Salisbury was born in Cardiff, Wales and later moved to Carmarthenshire. He is currently a Research Fellow on the Poets of the Nobility Project at the Centre for Advanced Welsh & Celtic Studies in Aberystwyth. At the age of 13 he taught himself the craft of cynghanedd – the ancient, but still very popular, strict-metre verse form in Welsh. He won the Chair in the National Urdd Eisteddfod in 2006, and has come second in the Chair competition at the National Eisteddfod of Wales on three occasions, in 2006, 2007 and 2008. Llyfr Glas Eurig, his first collection of poems, was published by Barddas in 2008. Owen Sheers was born in Fiji in 1974 and brought up in Abergavenny, South Wales. He was educated at King Henry VIII comprehensive, Abergavenny and New College, Oxford. The winner of an Eric Gregory Award and the 1999 Vogue Young Writer’s Award, his first collection of poetry, The Blue Book (Seren, 2000) was short-listed for the Welsh Book of the Year and the Forward Prize Best 1st Collection 2001. His debut prose work The Dust Diaries (Faber 2004) was short-listed for the Royal Society of Literature’s Ondaatje Prize and won the Welsh Book of the Year 2005. In 2004 he was Writer in Residence at The Wordsworth Trust and was selected as one of the Poetry Book Society’s 20 Next Generation Poets. Owen’s second collection of poetry, Skirrid Hill (Seren, 2005) won a 2006 Somerset Maugham Award. His first novel, Resistance (Faber, 2008) was short-listed for the Writers Guild Best Book Award and is translated into nine languages. Owen was a 2007 Dorothy and Lewis B. Cullman Fellow at the New York Public Library. He currently divides his time between New York and Wales. Rose Solari is the author of two full-length collections of poetry, Orpheus in the Park, and Difficult Weather, and two chapbooks. Her poems have appeared in many journals here and in the U.K., including Parnassus, Gargoyle, Poet Lore, The Mississippi Review, The Potomac Review, and Nth Position, and her poetry and prose have appeared in several anthologies, including American Poetry: The Next Generation; Enhanced Gravity: More Fiction by Washington Area Women; and Women: Images and Realities, A Multicultural Reader. Her other honors and awards include the Randall Jarrell Poetry Prize (selected by Philip Levine) and, in 2007, her third Maryland State Arts Council Individual Artist’s Grant. She has taught at the Writer's Center for fifteen years, and joined the board of directors there in 2006. Adele Steiner: B.A. & M.F.A. in English Literature and Creative Writing (Poetry) (University of Maryland); Poet-in-the-Schools, Maryland State Arts Council; Veteran Artist in Residence, Georgetown University Hospital; and author of three collections: Refracted Love, Freshwater Pearls, and The Moon Lighting. Her work has appeared in Wordwrights, Maryland Poetry Review, Gargoyle, Smartish Pace, Promise, and So To Speak. Who better to tell the story of the armed forces than the U.S. troops and veterans who have served? That’s the idea behind a free, six-week prose-writing workshop for active duty troops, veterans, and their dependents hosted by The Writer’s Center from April 6 – May 18. The workshops are part of the National Endowment for the Arts’ Operation Homecoming: Writing the Wartime Experience, a groundbreaking program that documents and preserves the wartime experiences of men and women in uniform and their families. In this latest phase of the program, Operation Homecoming will hold writing workshops for veterans as well as active duty troops at Department of Veterans Affairs (VA) medical centers, military hospitals, and affiliated centers in communities around the country. Operation Homecoming is conducted in partnership with the Department of Defense, and the Department of Veterans Affairs. Operation Homecoming is made possible by The Boeing Company. Guest instructor James Mathews, a longtime member of The Writer’s Center, will teach the workshops. Mathews has been deployed overseas a number of times, including two stints in the Middle East and Iraq. And those experiences he explores through his own prizewinning fiction. For Mathews, the opportunity to lead this workshop is a chance to do something for the military community of which he has long played an active role. “I think there are feelings and issues that can best be conveyed by veterans who have been there, done that,” he says. To help workshop participants give voice to their experiences, each will receive an Operation Homecoming writer’s guide with samples of wartime writing by veterans and civilians along with a CD of audio recordings of war literature from the Civil War to the Vietnam War. Each participant also will receive a copy of the documentary film Muse of Fire, which chronicles the Operation Homecoming writing process with participants and their writing instructors. Workshop host sites will receive copies of the anthology Operation Homecoming: Iraq, Afghanistan, and the Home Front in the Words of U.S. Troops and Their Families (Random House, 2006/University of Chicago Press, 2008) for use as reference materials during the workshops. Attendees are encouraged to bring their own writings to the workshops. Since 2004, the NEA Operation Homecoming writing program has collected the stories of U.S. military personnel and their families. With support from The Boeing Company, Operation Homecoming has brought more than 60 writing workshops to troops at more than 30 domestic and overseas military installations from Camp Pendleton in California to USS Carl Vinson in the Persian Gulf and Bagram Airfield in Afghanistan. Among the original workshop teachers are distinguished writers Tobias Wolff, Jeff Shaara, Marilyn Nelson, Richard Bausch, Bobbie Ann Mason, Joe Haldeman, Richard Currey Mark Bowden, and E. Ethelbert Miller. Workshop leader: James Mathews, Iraq War veteran and Katherine Anne Porter Prize-winning author of the collection Last Known Position. Who: The workshop is designed for armed service members currently serving in the military, military veterans, and dependents of military service men and women (veterans or active duty). The workshop will benefit active duty and reservist service-members, as well as veterans, who currently reside in the Bethesda area. Registration: This workshop is limited to 16 participants who will be selected on a first come, first served basis. Interested individuals can register by calling The Writer’s Center at 301.654.8664. We encourage anyone with questions about the workshop to contact us. Love to write? Do it for CASH! NOTE: This contest is open to residents of Maryland, DC, and Virginia. To download the application, go directly to this link. to be used in event–related publicity and materials. Entries must be received by 5pm on Friday, March 20, 2009.
please call 301.215.6660, Ext. 42 or visit www.bethesda.org. form must also include a signature from a parent or guardian. Entry form must be completed and submitted with essay. Submission deadline for entries is Friday, March 20, 2009 by 5pm. These materials are neither sponsored nor endorsed by the Board of Education of Montgomery County, the superintendent, or this school. Michael Kinghorn has spent the bulk of his thirty-year career writing, directing, and developing new plays. 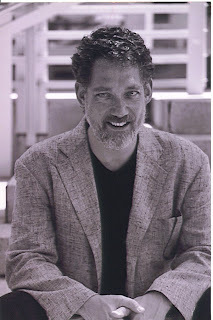 He has led the literary departments of three major regional theaters: The Guthrie Theater in Minneapolis, The Alliance Theater in Atlanta and Arena Stage in Washington, D.C, where he served as script consultant on dozens of new plays by distinguished and emerging playwrights. He will lead the workshop “Acting For Playwrights” on April 1st,at The Writer’s Center here in Bethesda. Acting for Playwrights is a sampler for writers interested in acting. The Carousel editor, Abdul Ali, caught-up with Michael Kinghorn via email about the upcoming workshop. How will "Acting for Playwrights" benefit playwrights or those writers who have yet to experiment with acting? Playwrights and writers will leave the workshop with a concrete experience of several techniques we use for training actors. In short, I will give participants an opportunity to "sense" how actors learn to approach their craft--from impulse to action. You've worked in professional theater for over 30 years. In your experience, what is the single most important characteristic for a successful actor and playwright to have? I would say that the single most important characteristic for an actor or playwright to have is a curious and open mind. This allows one to see past one's own assumptions while developing a set of artistic values. What specifically can participants expect when they take your course? Participants can expect to be engaged in a series of exercises and improvisations that will allow them to glimpse the world of acting from an intuitive and non-intellectual perspective, yet in a safe, creative environment. Will you be in attendance at our Open House on March 14 12 noon? I can't commit to the open house event at this time, but I will try to make it after checking schedule and other commitments. This morning, in a half-asleep daze, I heard Garrison Keillor say something interesting on "The Writer's Alamanac." "On this day in 1873, Congress enacted the Comstock Law, making it illegal to send any "obscene, lewd, or lascivious" materials (including books) through the U.S. mail system. 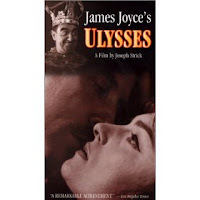 It was under the Comstock Law that James Joyce's Ulysses was barred from the mail until the court finally determined that it was not obscene." I love the fact that, once upon a time, people felt threatened by books. Can you imagine that today? Wouldn't it be great to have that kind of relevance? · with the goal of a fully-staged Inkubator production. The first step in The Inkwell collaboration will take place during the 2009 Inkubator Festival August 22 through September 21, 2009 at the H Street Playhouse in Washington, DC. Selected playwrights will receive an honorarium for their participation in the full development process. Travel and housing may be provided. who spin yarns in their own way, without regard to what is popular, producible or profitable. that explode viscerally and psychologically off the page. The Inkwell encourages playwrights to participate in all areas of the process – from design meetings to rehearsal to audience engagement – to develop a new play in a fully-integrated forum rarely available to emerging writers. Selected playwrights will collaborate with The Inkwell’s directors, designers, actors and dramaturgs in a sustained workshopping process, launching a long-term collaboration around the work with the goal of a fully-staged Inkubator production. · a completed Playwright Submission Form (available at www.inkwelltheatre.org). · PLAYWRIGHTS MAY ONLY SUBMIT ONE SCRIPT PER SUBMISSION PERIOD. · Play is full-length (one-acts or ten-minutes will not be considered). · Play has never received a full production. (A full production includes any public event centering on the script that involved a director, actors, and design elements). The Inkwell considers staged readings and academic productions exceptions to this rule. · Plays that have received full productions, even if they have undergone significant post-production revisions, will not be considered for The Inkwell at this time. · Play will not be performed in a professional production between time of submission and August 2009. If the play is optioned by another company, please alert The Inkwell immediately! Please email your play and required playwright submission form (found at www.inkwelltheatre.org) to submissions@inkwelltheatre.org. Submissions will be accepted March 1 through March 15, 2009.